After spending a week in the Lake Garda area of Veneto, my experiences and overall wine education focused on the pink wines from the area, specifically, Chiaretto. Certainly, without doubt, our secondary focus was on Bardolino, a wine well known, to many, as a relative of Amarone and those of the Valpolicella classification, whose vineyards literally touch one another. 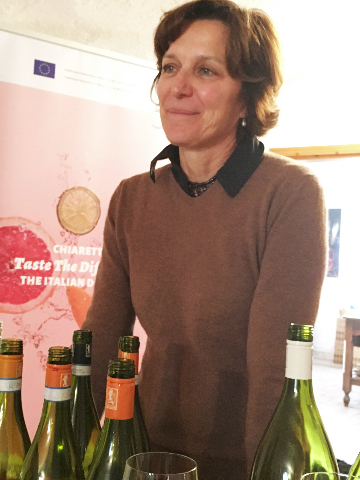 On a recent visit and tasting with the passionate winemaker, Matilde Poggi, founder of La Fraghe, it was obvious why her vineyard stopped sourcing grapes to other wineries and accepted the challenge of bottling their own wine, under the La Fraghe label. The venture began, literally in the 15th century, when the family estate was built. It took until 1984 (remember George Orwell) for the first complete harvest to be bottled. In 2009, La Fraghe was classified as ‘organic’ and Matilde has never looked back. Her 75 acre vineyard is located on the hills nearby Lake Garda, whose grapes are influenced, ironically, by cold, northern winds that arrive on a daily basis, generally in the morning. She says that the wind and unique microclimate are the reason why her numerous indigenous grapes come alive. And to keep her bottles intact, in 2008, the vineyard started using screw top caps exclusively. There is a certain freshness to her wines that exude, especially in her Chiaretto, a wine full of fruit and crispness. As one of the leaders of winemakers in her region, Poggi proudly displays the Federazione italiana Vignaiolo Indipendenti (FIVI) logo on her bottles. The logo represents winemakers who perform all of the steps of winemaking, from picking the grapes to bottling the finished product. La Fraghe is a destination winery. The vineyard houses agriturismo guests who want the liberating agricultural lifestyle within the stone walls of the property. Matilde, who started years ago as one of the few female winemakers in her region, has seen success grow after an early struggle in a male dominated business. Her stamina has paid off as 60% of her wines are exported worldwide. She has importers in America. 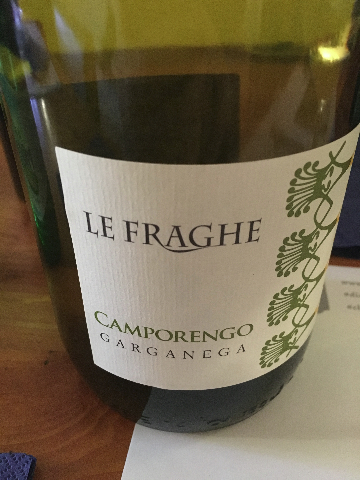 La Fraghe wines are of excellent quality. The Rodon Bardolino Chiaretto was a very solid wine that aromatically resembled a Pinot Noir, full of strawberries and red currents. Its juicy red fruit coated my palate with a burst of flavor from the vibrant Corvina and Rondinella grapes. The full-bodied Bardolino combinin g Corvina and Rondinella grapes is a very balanced wine, a bit spicy, with hints of cinnamon, clove, white pepper and sour cherry. An amazingly long finish coated my palate, asking for more. As a treat, Poggi poured an unbelievable, rich and creamy 2007 Campoorengo that filled your palate with almond paste, green apple and white peach. Made with the Garganega grape, this palate pleaser was elegant and full-bodied and a perfect wine to end our day with Poggi, a remarkable winemaker from Azienda Agricola La Fraghe.